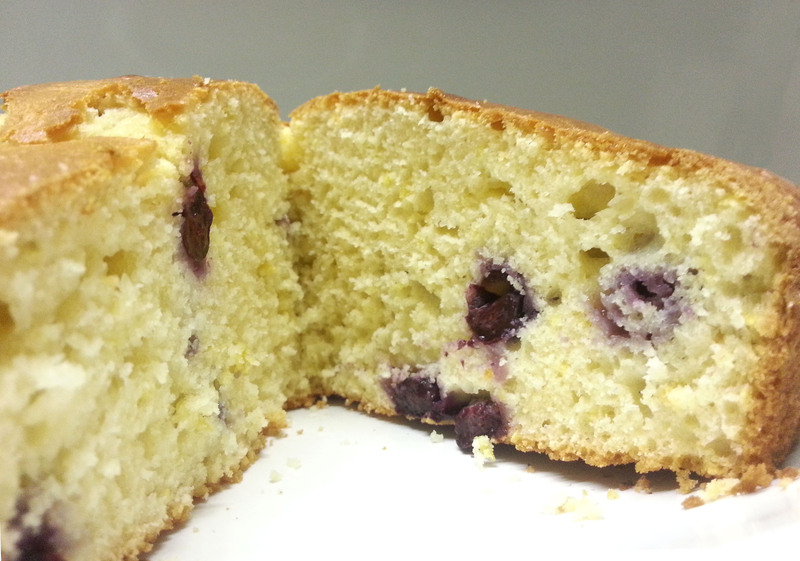 This is, hands down, the BEST yoghurt cake. Moist, springy, fragrant. Delicious! And so easy to make! The cream coloured cake with dark purple blueberries, and flecks of bright yellow lemon zest makes it look all the more appetising. This is such an adaptable recipe – I’ve made an orange version by replacing the lemon zest with the zest of 3 oranges and omitting the blueberries. I like my flavours strong so I use more than the usual amount of zest quoted in most recipes. I have tried the recipe with reduced sugar (180g) and the sweetness was just perfect, but feel free to modify to your taste. 3. In another bowl, sift together the flour and baking powder. Fold into the above mixture, then add the blueberries. 6. Leave cake in tin to cool for 10 minutes before transferring to a cake rack to cool. This entry was posted in Cakes and tagged baking, Betty's, cake, cake recipe, fruit, lemon, recipe, yoghurt. Bookmark the permalink.